My position on social media is pretty straight forward. I do believe that we face unprecedented opportunity today to strategically extend our businesses and improve customer experiences using emerging technologies. Digital and social media, including the web, mobile, tools and apps are an essential part of this. However, I don't view social media as an anathema, and there’s no one-size-fits-all formula for success. We live in an era where 10% of web tasks fail completely (and I'd say that's a conservative estimate). The potential down-side of the 10% task failure alone is massive. When we add mobile, apps, social media and maintenance tools and attempt to manage the dynamics of authorization, privacy and user behavior, we are forced to manage brand new task dynamics that complicate not only stand-alone web execution, but how we do business within the cloud. Putting it all together and making it work (well) is a daunting task that is an ongoing, somewhat experimental journey for most companies. How we will approach, harness and manage the channels and tools and the dynamics they create for users -- as well as within the enterprise -- is a real challenge for businesses small and large. However, regardless of the tools we use, there's got to be some clear picture of how they will be used --- BEYOND marketing and PR purposes – to strategically extend, listen, learn and respond to the people we serve. This is a central theme in an article I posted today at Marketing Profs, which evaluates Amazon’s use and integration of social media. 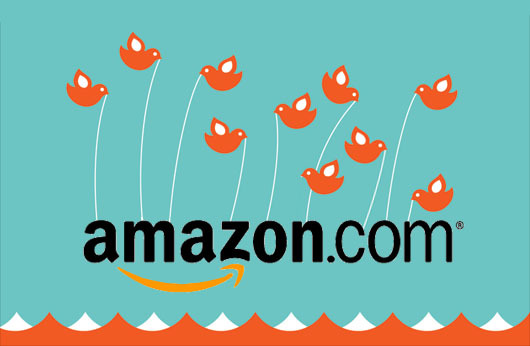 You can read “Why Amazon Doesn’t Understand Social Commerce” here. One of the key areas of examination in my research was using social media to identify and respond to “point-of-need” mentions, which are defined as individual mentions, comments, or messages that express an explicit or implicit desire for a brand's attention, consideration, action, or response on the open social grid. I believe getting a handle on these point-of-need issues and figuring out how to manage them effectively across channels is one of the best ways to latch on to social media success. After all, this is what people expect. 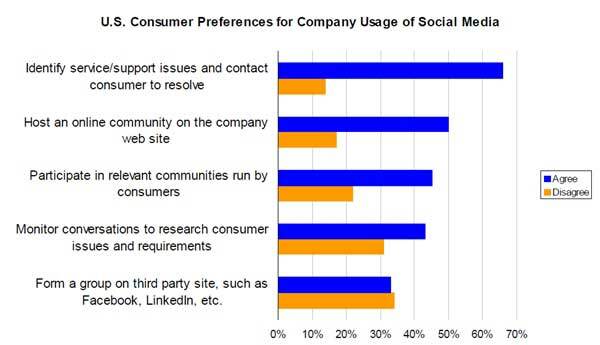 For example, check out this this chart US Consumer Preferences for Company Use of Social Media from Customer Think’s July 2009 Customer Survey. After spending almost 20 years in emerging media, I can’t help but reject a lot of the hype and misinformation that circulates today – and there is a LOT out there. At times, my neck hurts from shaking my head over companies positioning the use of emerging technology in a manner that is unfortunate and terribly short-sighted. What hurts the most, however, is when a brand I respect gets so big, it begins to sacrifice watching and listening on the altar of automation and efficiency. 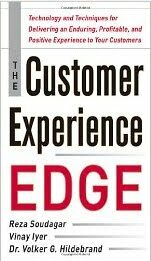 This destroys their ability to learn and apply critical thinking, damages customer relationships and contributes to the kind of business apathy and atrophy that destroys customer experience over time. That's why, if we care, we should speak up. While the Amazon article is a bit long winded in its analysis, contains illustrative screen shots, charts and analysis, completed with the help of my friends at Radian6. We hope this will help illustrate (not with surgical precision but as a base of consideration) the missed opportunity Amazon may be ignoring and serve as food for thought for other companies. It is my sincere hope that the ideas presented -- along with your commentary (please leave some!!) -- will encourage Amazon to reconsider its approach to the social grid! I understand your concerns, and here's the problem with this thinking: “Pandora’s Box” is already OPEN! Conversations about your brand are happening, right now, without you on the social grid. You can stick your head in the sand like an ostrich, but will only be a matter of time before the audience will demand your response. Wouldn’t it be better to enter the discussion proactively? Will it take a crisis to drag you into the conversation? Can’t you see that these tools, like the Internet – have the potential to strategically extend your business – specifically in the area of Customer Service? While my thoughts admittedly made a dent in this executive’s conscience – they didn’t make a dent in the company’s approach. Sadly, within a year, United Airlines was dragged into the open - totally unprepared - as Dave Carroll’s song, “United Breaks Guitars” became an overnight, viral phenomenon. United didn’t flinch when he warned them that, if he could not get satisfactory response, he would write a series of songs about United’s poor service and post them on You Tube for open consumption, votes and ratings. Perhaps United believe him. Perhaps they didn’t care because they were locked in the world of policy and procedure. Perhaps someone just decided that Dave Carroll didn’t really matter. But boy, did he turn out to be influential. So if we know this, why don’t we treat people better? Companies: How does your company treat people like they matter? How do you use market segment, CLV, influence measures to enhance the service or experience you provide? Consumers: How do the brands you support make you feel valued and respected? How much of this is "going beyond the call of duty" vs. "providing a base level of good service"? All: This "broke" Dave Carroll's career. So, what do you think of his (relatively) new, non-musical, customer experience venture "The Right Side of Right?" Check it out and weigh in!